Jan Hunter Is here for Cycle 4! 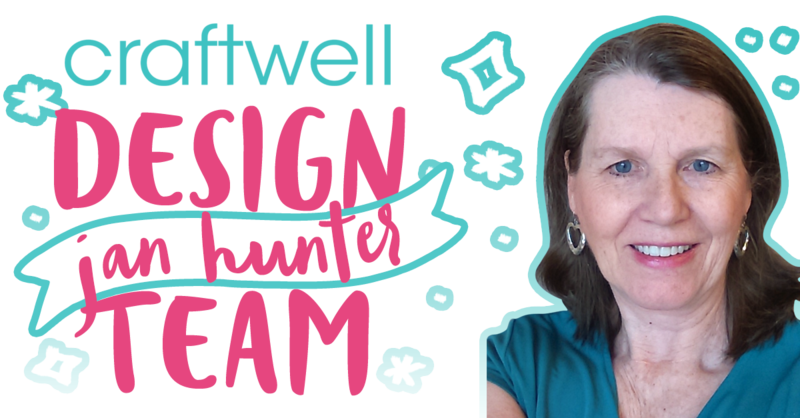 We are delighted to have Jan Hunter, crafter extraordinaire continue with the eBrush Design Team. Jan is devoted to her family and still finds time to craft almost every day! We are very pleased that she is here! I’m Jan Hunter, mom to 7 grown children, grandma to 9. We just survived another cross-country move and I’m still unpacking paper, fabric, paint, markers and other crafting goodies! I'd love to be able to craft 24/7, but alas, someone has to pay for all these goodies still in boxes. I work for a non-profit doing IT and teaching an occasional workshop, designing and creating additional media for use in workshops and trainings. I’ve been crafting for a very long time and enjoy all sorts of mediums, old, new and enjoy trying old techniques in new ways using the eBrush, markers, paints and other liquids. Quilting, paper crafting, tatting, crochet, knitting and other needlework have been a passion for many years. Good thing my hubby doesn’t mind my filling our space with lots of crafty supplies and machines. I’m excited to be a part of the eBrush team again and I’m looking forward to the inspiration this term holds!